The new Mercedes A-Class, which will be revealed ahead of its public debut at Geneva motor show in March, will depart from today’s model by receiving two different suspension sets, according to Mercedes' boss of compact vehicle testing Jochen Eck. Both sets will use the same MacPherson strut set-up at the front, although they differ radically at the rear, with lower-end models set to run a newly developed torsion beam arrangement while high-end models will sport a revised version of the multi-link suspension first seen on the outgoing third-generation A-class. Can the latest Mercedes A-Class's slick conformity outweigh the old model's originality? 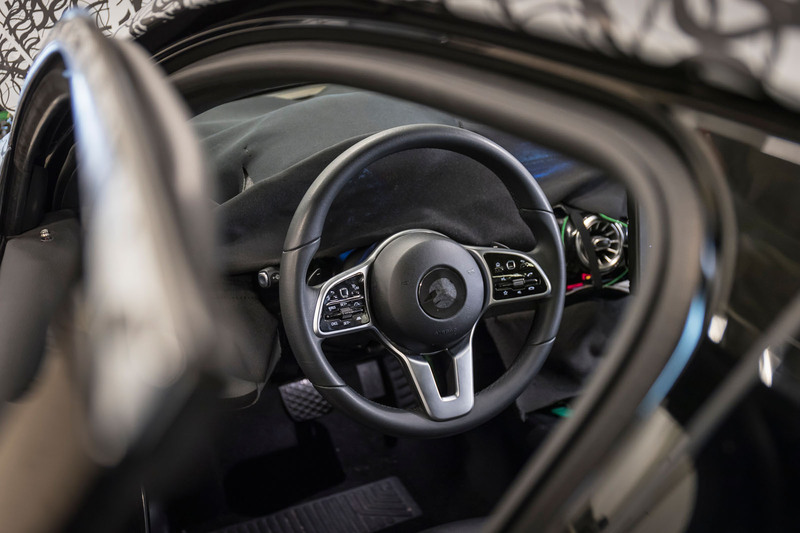 That rigidity also helps improve noise, vibration and harshness in the A-Class, along with more sound deadening foam in the body structure, according to Eck. He said that while the predecessor’s NVH “wasn’t too bad at launch”, the competition has upped its game. The redesigned A-Class has grown in length, including a 30mm increase in the wheelbase, while the interior gets a similar widescreen cockpit to that found in the S-Class, with the most expensive option using two 10.3in displays. It will also feature touch operation for infotainment and navigation, a first for Mercedes. The new A-Class will adopt a number of driving aids seen on higher-end Mercedes, including an active blind spot assistant, called Exit Assist, and an improved version of the existing model’s Park Assist, with 360deg camera. There will be five petrol variants plus two performance models, badged A35 and A45, and four diesel options. 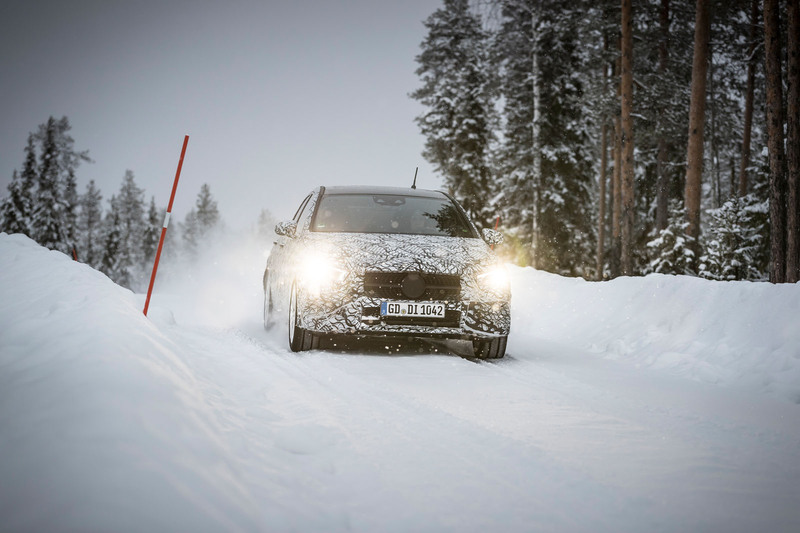 For our first stint in the new A-Class, we’re in the entry-level diesel variant, the 1.5-litre A160d, on public roads near Arvidsjaur in the north of Sweden, where Mercedes has been busy cold-weather testing its entry-level model. Although we’ve only experienced the new Mercedes from the passenger seat, it certainly feels smoother and more controlled than its predecessor over rough roads, even with the torsion beam set-up and standard single rate dampers – the cheaper of the two suspension set-ups. There’s greater absorption of road shock and less vertical movement over bumps, particularly at the rear. As well as improvements in comfort, the noise, vibration and harshness levels are also better, and visibility appears superior, although we won’t know for sure until we are behind the wheel next year. By next April we should be able to verify this for ourselves, but for now, it appears the new A-Class is ready to replicate the sales success of its predecessor. The current A-Class has always struck me as being one of those cars where style ruled over substance and sold merely because of the badge because in almost every other respect it appears to be a pretty average car at best. It's not spacious (inc boot), it doesn't ride particularly well, the handling is average, refinement isn't the best, most of the engines are average (though they appear more refined in other cars which use the same engines) and the interior, while looking great IMO, isn't made from high quality material, in fact it feels fairly cheap. The AMG 45 appears to be the exception to the A-Class range because overall it's hard to not view the current model as not only average but perhaps one of the the worst, if not the worst, car in the class. Lets hope the new model has as much substance and ability as style and is worthy of the Mercedes badge. Agreed. An also ran rather than a class leader. And very expensive for what you actually get for all the points you have raised. The part I could never get over - diesel engines from a Renault Clio packaged up into something costing top money for the class! I worked with people in a former role where they bragged about driving an A/CLA and then I noted they were driving the aforementioned humble diesel engines and had a little chuckle to myself. Not because it was a terrible thing to have the Renault engines; more so because they skulked around saying they had the best thing since sliced bread! Complete ignorance and arrogance all rolled into one. Following VAG’s path and cheapening up the suspension at the rear of the vehicle to save them money and hope the customer doesn’t notice. Probably so they can use the same components as a Nissan/Renault based on the same platform. If Mercedes aim is to compete against Honda and Mazda, it's a pity and detrimental to their image. Personally I dislike the new digital display in the A class. Car makers are generally doing badly at this sort of stuff. If you buy a Tesla all you get is a screen and no button. Mercedes, when it was an engineering-led and design-led company, used to have a different shape for each type of control. Everything was intuitive to use. Everything was tactile, done by feel without having to take your eyes off the road. Now that Mercedes is no more than a volume producer and a market-led company, all these fine details have gone, replaced by the ubiquitous digital dash. Cheap to make no doubt, but good to use - absolutely not. Only the wonderful pictogram electric seat adjustment remains, much copied by other car manufacturers. If you look at some of the feedback from JLR's current infotainment system "InControl" you would see its a heap of junk, it freezes, it crashes, the apps are limited or just dont work, the apps it does have are out of date, they still charge silly money for "out of date" map updates, I think the only manufacturer who seem to have balance right is Volvo or Audi. Your previous reviews of the current model absolutely slates it for handling over ride going too far so it rides crap. Then I see your new model headlines - more 'driver-focused'. Sound like same problem repeated.